Use concrete to make a simple, modern DIY serving tray. 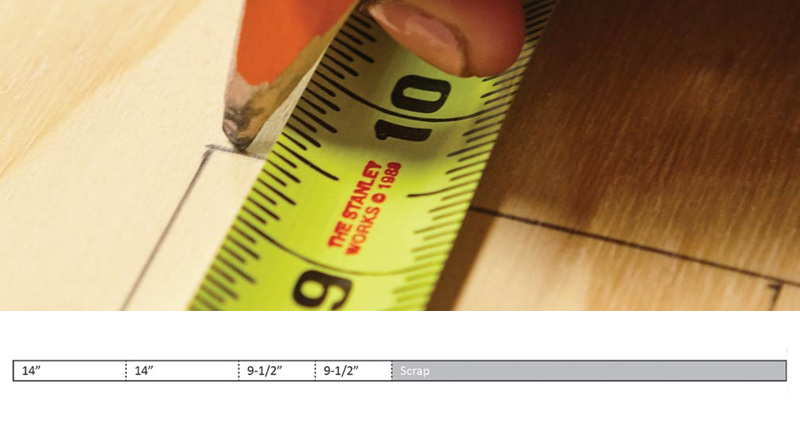 Using the measuring tape, measure and mark the cuts as listed below. 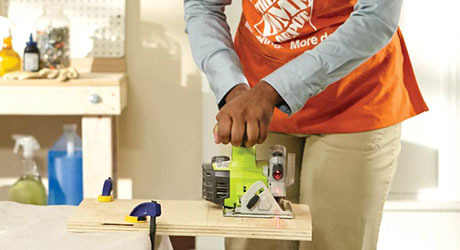 Make the marked cuts on the common board and plywood using a circular saw. 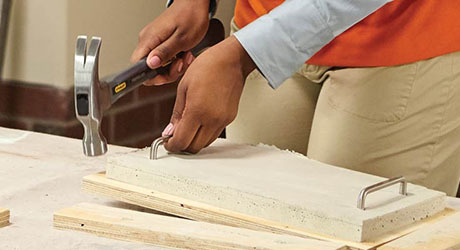 Use a sanding sponge to smooth any rough edges. Set the two 14-inch sections vertically on the table. 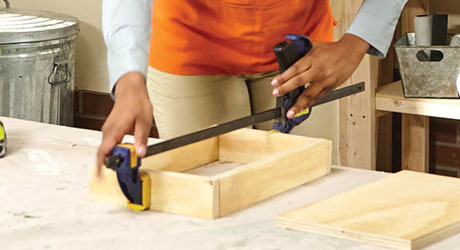 Place the two 9 ½-inch sections vertically at the top and bottom of each of the 14-inch sections to form a rectangle. Pre-drill holes using the 1/8-inch drill bit and secure frame with screws. Place plywood on top of frame and attach with screws. 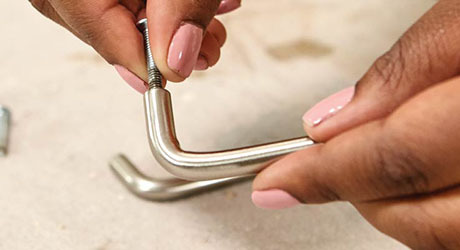 Prepare handles for insertion into cement by attaching the smallest supplied screw into each and securing tightly. 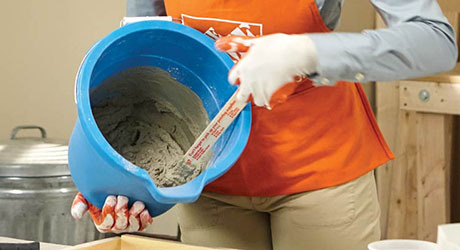 Mix 80 ounces of cement with 20 ounces of water in mixing the pail and stir well until completely mixed. Pour the cement into your mold and distribute evenly using a trowel. Insert handles. Make sure they are centered and that the screws are entirely covered by cement. Allow cement to set for an hour or more. Once set, flip the frame over and remove the screws in the plywood. Remove the plywood by prying apart from cement. Flip over again and remove the screws from wood frame. Remove the frame by prying apart or tapping with hammer. Attach vinyl bumpers to corners of bottom of tray.